Pencubitt Country House Hotel sits in two and a half acres of its own gardens overlooking the Looe Valley. With luxury en-suite rooms, a comfortable well stocked bar and a restaurant serving full English breakfasts and three course evening meals. There is a comprehensive wine list too. Pencubitt provides a peaceful haven far away from the madding crowd. 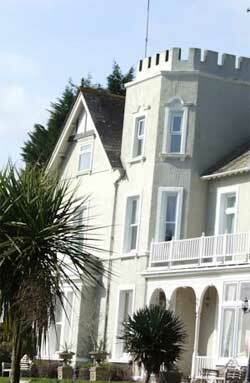 Pencubitt Country House Hotel is situated in the village of Lamellion Cross on the outskirts of Liskeard, Cornwall. There are buses and trains nearby and it is only a 10 minute walk into Liskeard. Pencubitt is an ideal base for exploring Cornwall. It is close to the Eden Project, we have tickets Looe Polperro, Tintagel, Bodmin Moor, Plymouth and within easy reach of many attractions in Cornwall and Devon.Golf, shooting, fishing and riding are all available nearby and Pencubitt has mountain bikes for hire too. Walking locally or afar, there is much to see and do. Unfortunately, the hotel is unable to cater for children under 12.